Came home yesterday to my son in his walker. He grinned and seemed genuinely excited to see me. I walked over and said hello. 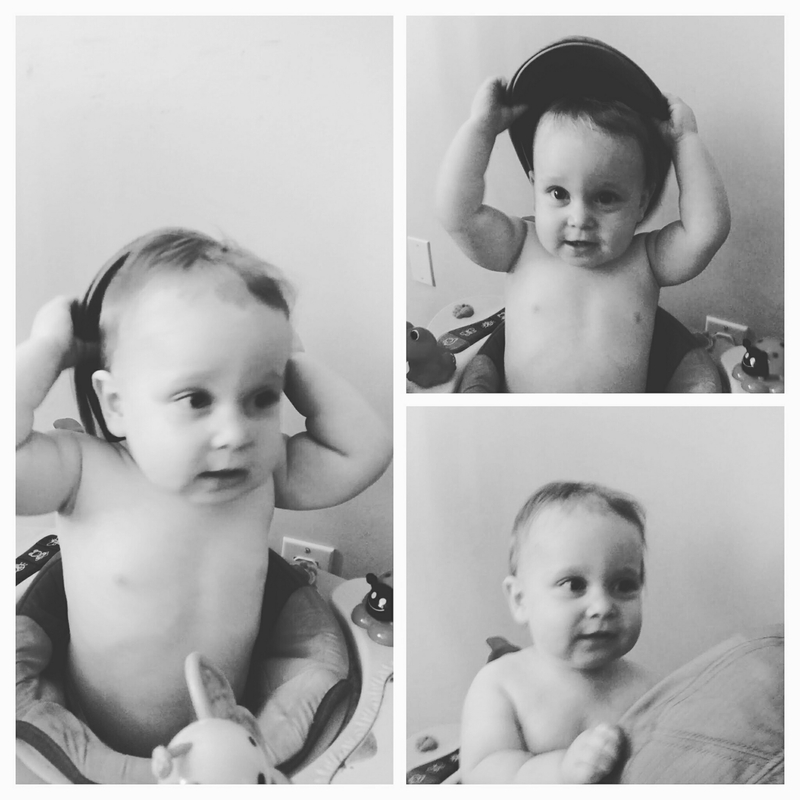 He, not speaking comprehensibly yet, babbled and I took it to mean that he wanted to play with my flat cap. Sometimes, kids just make your day. I missed blogging yesterday and skipped my entry on spiritual warfare last Saturday morning. The first is in the process of, I hope, being resolved. My internet was down yesterday morning, as it has a habit of being. My wife and I have been so aggravated with it that we have finally decided to switch providers. Once the switch is completed, I hope to have no interruptions. Especially not at 5-something in the morning. The second, the skipping of the spiritual warfare entry, has to do with being off fighting spiritual warfare instead of writing about it. As all believers are aware, there are times when temptation is easier to resist and times when it is more difficult. Last weekend was the latter and the wisest strategy was to make a tactical withdrawal. So I went to bed earlier on Friday night when I would otherwise have been working on the blog entry. I hope to be able to post the next entry in that series this week, God willing. We shall see how things shape up. Thank you, to everyone who reads and subscribes and likes and comments. I would continue to write my devotional with or without the encouragement, but I am blessed to know that sharing them blesses others.